Ben Grossman: bodhrán, tambourine and snare drums. This is the fourth solo recording by flautist Alison Melville, for which this member of the Toronto Consort, Ensemble Polaris and Tafelmusik has conveyed some of her favourite music partners to join her. The enthusiasm she invested in her research paid-off : She discovered that for well over a century, the demand for Scottish instrumental and vocal music fuelled tremendous publishing activity in Scotland. Surely, Haydn and Beethoven’s Scottish song arrangements are some of the more celebrated examples, but some very large collections appeared, such as Robert Burns’s Scots Musical Museum and James Oswald’s Caledonian Pocket Companion to name but two. From the gigantic repertoire she discovered for her instruments, Alison recorded 25 chosen pieces, including the contagious Greensleeves, that she revisits with tremendous freshness, in an original arrangement created by her fellow musicians. 4. Bannocks of Beer Meal trad.. Since playing her first CBC radio gig at 20, Alison Melville’s active and varied career has taken her across Canada and the United States and to Iceland, New Zealand, Japan, England and continental Europe. Her extraordinary breadth of experience covers music from the 13th to 21st centuries, and includes performances for dance, theatre, film and TV as well as many solo and chamber recitals; appearances as an on-stage musician for opera and new music mixed-media productions; and performances with modern and period instrument orchestras under conductors Andrew Parrott, Frieder Bernius, Gustav Leonhardt, Sigiswald Kuijken, Hervé Niquet, Andrew Davis and others. She has been heard on the CBC and other Canadian radio networks, PBS, the BBC and the Iceland State Broadcast Service, and has participated in over 35 recordings on Sony, Atma, Naxos, Analekta, Dorian, CBC, ebs and others, including three internationally-acclaimed solo discs of Baroque repertoire for recorder and traverso, and recorder music from the mid-20th century. Since 1999, Alison has been Assistant Professor of Recorder at the Oberlin Conservatory of Music in the USA. She studied in Basel and Toronto. And on a non-musical note, she is also trained in Zen Shiatsu (diploma, 1997) and cranio-sacral technique. Alison Melville is a member of early-music.com, a site committed to the promotion of some of the world’s finest early music artists. Paul Jenkins cultivates an eclectic musical career as a keyboardist and singer. Educated in Britain and Canada, Paul Jenkins is a longtime member of the Toronto Consort, and has appeared with many of Canada’s leading early music groups. Recordings include Dorian, SRI, CTAH, Eclectra, and Naxos; his Helicon recording of Thomas Svoboda’s Duo Concerto for Trumpet and Organ with Charles Schleuter, principal trumpet of the Boston Symphony Orchestra, received critical praise. Recent reviews in the Toronto Star give Paul “kudos” for his performance in Handel’s Rinaldo with Opera in Concert and praise his “welcome identification with character” as Mercurio in Cavalli’s La Calisto with the Toronto Consort. Paul organises Philipsville Summer Arts, a collaborative initiative with local and visiting artists in the township of Rideau Lakes, Ontario, based at a stone church dating from l865. Michael Jarvis has performed as soloist and continuo player throughout Canada, the USA, England, Italy and Bermuda. He may be heard on the Hungaroton, ATMA, Naxos, Solitudes and Avalon CD labels, and has broadcast nationally and regionally for the CBC, as well as nationally across the U.S. on NPR. He is also Artistic Director of the period instrument ensemble the Baroque Players of Hamilton. His performing editions of 17th and 18th century choral music have been published by GIA, Chicago. Michael Jarvis can be seen on national Canadian television in the highly- successful seasonal specials A Baroque Christmas and A Baroque Easter and is principal performer and co-host of the 13-part series on 19th-century music, Come into the Parlour. Michael Jarvis is Organist and Director of Music at St. Joseph’s Church, Hamilton, as well as Director of the Mohawk College Singers. A native of southwestern Ontario, Charlotte Nediger holds bachelor and master degrees from the University of Western Ontario and a solo diploma from the Royal Conservatory of The Hague, Holland. She joined the Tafelmusik Baroque Orchestra as principal keyboard played in 1980 and has held that position ever since. She has an extensive background in research and musicology, and works behind the scenes at Tafelmusik as Assistant to the Music Director, Librarian and Program Editor; she is also Artistic Coordinator ot the Tafelmusik Baroque Summer Institute. As one of only a few keyboard players to specialize in orchestral continuo playing, Charlotte is also active as a recitalist, chamber musician and concerto soloist. She has appeared as soloist with Orchestra London (Canada) and the Academy of Ancient Music as well as with Tafelmusik. She can be heard on numerous recordings on Sony, CBC, Analekta and other labels. Toronto cellist Mary-Katherine Finch leads a busy freelance career, performing across Canada on both baroque and modern cello. She is a dedicated chamber musician and plays in numerous ensembles which have taken her to Japan, New Zealand and the Arctic. She has performed with the Canadian Opera Company, Symphony Nova Scotia, Toronto Mendelssohn Choir, Aradia Ensemble,and Elora Festival Orchestra. She has premiered the works of several Toronto composers and is a member of the contemporary music ensemble Ergo. In 2004 her improvisations for solo cello were featured on CBC radio francais in the radio drama The Dragonfly of Chicoutimi. Kirk Elliott lives in Toronto, where he composes and performs music for a wide variety of early and modern instruments for film, concert and television. He has produced and composed music for the Toronto Dance Theatre, Danny Grossman Dance Company, Canadian Children’s Dance Theatre, Dancemakers, the National Ballet, National Film Board of Canada and the Discovery Channel. As a performer, Kirk has played medieval and Renaissance music in concert with the Toronto Consort; toured across North America from St. John’s to Honolulu with children’s entertainers Sharon, Lois & Bram; and introduced children to celtic, jazz, rock, oldtime fiddle and Elizabethan music as a guest with the Victoria and Kingston Symphony Orchestras. Kirk has released over a dozen CDs of original music for adults and children, one of which won a Juno Award, and his ‘Sing a Song of Mother Goose,’ released by Harper Collins in tandem with a book, sold over 50,000 copies. Ben Grossman is a busy performer, composer, sound designer and improviser working in experimental, folk, early and traditional music in Toronto. He has over 60 CD credits to his name including recordings by the Toronto Consort, Aradia Ensemble, Andy Stochansky, Barry Prophet, Oliver Schroer, Ensemble Polaris and Modabo, to name a few, and has done sound design/composition for recent productions by SoulPepper Theatre, Modern Times Stage Co. and Theatre Extasis, amongst others. While Ben’s background and interests span orchestral, rock, traditional Irish, Balkan, Turkish, medieval and avant-garde music, he is also known as a teacher of bodhrán, improvisation, and harmonics and tuning theory. Ben has been awarded grants from the Canada Council to study the Arabic lute (ud) and Turkish classical music in Turkey, and for his acoustic and electronic performance work. Twelve Solo’s or Sonata’s for a Violin and a Bass Les quatre derniers Solo’s ont été adaptés pour la flûte allemande The four last Solo’s are adapted for the German Flute. Charles Macklean. Edinburgh, Cooper, 1737. A Collection of Old Scots Tunes, with the Bass for Violoncello or Harpsichord Francis [Francesco] Barsanti. Edinburgh, Baillie, 1742. The New Flute Instructor or the Art of Playing the German-Flute Edward Miller. London, 1799. The Airs and Melodies Peculiar to the Highlands of Scotland and The Isle Captain Simon Fraser. Edinburgh, 1816. Bewick’s Pipe Tunes. Robert Bewick Mss., 1832. Originaux conservés à la Gateshead Public Libreay. L’édition moderne, par Dragonfly Music, est éditée par Matt Seattle. Originals in Gateshead Public Library. 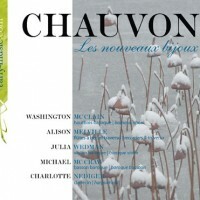 Modern edition by Dragonfly Music, edited by Matt Seattle. The Gow Collection of Scottish Dance Music Ed. R. Carlin. Oak Publications, 1986. Ayrs for the Violin Nicola Matteis. London, 1685. French double-manual harpsichord after Blanchet (1720) by Willard MARTIN, 1980 (Charlotte Nediger). 17th-century Italian model harpsichord by Yves BEAUPRÉ, 1997 (Paul Jenkins). French double-manual harpsichord after Blanchet (1765) by David JENSEN, 1996 (Michael Jarvis). Anonymous Italian cello, ca. 1790. Baroque flutes after G.A. Rottenburgh by Alain WEEMAELS,1990/2003, and Rudolf TUTZ,1979. Soprano recorder (Aesthé) by Jean-Luc BOUDREAU, 2000. Alto recorder after Debey by Jean-Luc Boudreau, 2001. The Trustees of the National Library of Scotland; Almut Boehme; and the staff of the NLS Reading Rooms. David Kett and the staff of the Wighton Collection and Dundee Central Library. Kathleen McMorrow and the staff of the Library at theUniversity ofToronto’s Faculty of Music. Charlotte, Paul, Michael, Mary-Katherine, Ben and Kirk; Colin; Ed and Konrad; Lilla Gilbart; Andy and Janice; Rob MacKillop; Gordon Reynolds; and Sylvain Bergeron. This recording was made possible in part by a grant-in-aid from the Oberlin College Office of Sponsored Programs. Recorded in the summer of 2002 and February 2004, at Humbercrest United Church, Toronto, Canada. Editing: Ed Marshall, Konrad Skreta.